1. Before buying, please refer to the specific size of your outsourcing, to choose inside bag size smaller than outsourcing. Generally, you could choose a insert bag which smaller 1-2inch than the outsourcing. 2. The lining color, zipper may be different because the factory sometimes use different color for lining or use different zipper, thanks for your patience. Felt Insert Bag Organizer Bag In Bag For Handbag Purse Organizer. 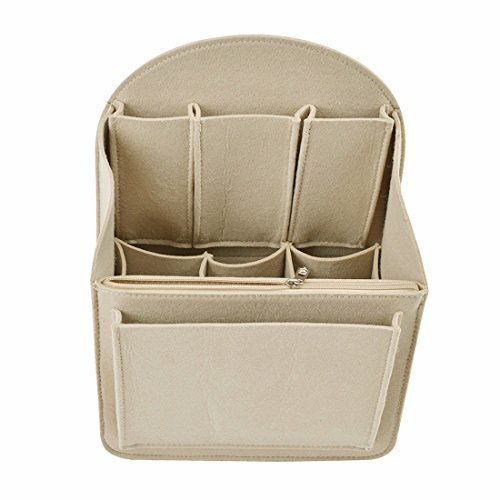 MultiPocket Handbag Purse Organizer. Two Colors One Size, Large.